The first thing you need to understand about startup pitches is that they are, at their core, conversation starters. A great startup pitch makes for a great first impression, and that opens the door for future talks with potential investors. 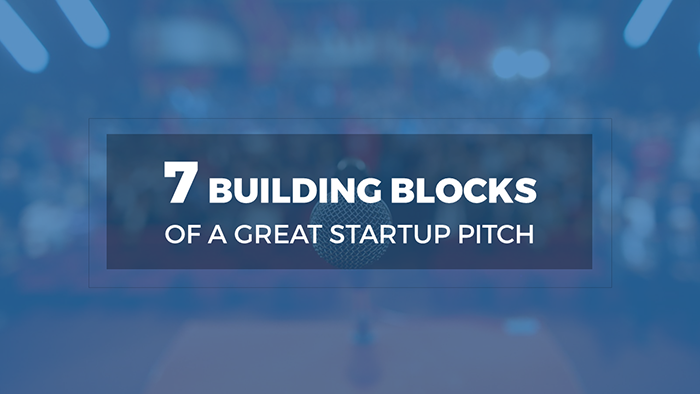 To really hit it off with the investors, especially when so many other startups are vying for their attention as well—often on the very same day in case of pitching events—you need to have a solid grasp on the core elements of pitching. What’s the problem that your startup is addressing? Who are your target customers? These are some of the questions whose answers form important elements of your startup’s story. They speak to the essence of your startup’s reason for existence. In addition to answering the ‘why’ questions, your story also showcases your startup’s personality. This helps getting the audience emotionally attached to your idea. This ties into the problems you address in your story. How does your product aim to solve them? This can include modality, business model and features; but the key point you need to address is what the product offers that the current market players don’t. These Unique Selling Propositions (USPs) show that you have studied the market, identified current positioning and competitive advantages of competitors and, most importantly, that there is a market gap that your product can address. This also ties into your startup story. You need to go deeper beyond a general customer profile and show who exactly are your potential customers and how many of them you want to sell your products to. How big is your target market? While the natural instinct in many cases to define target markets as being as large as possible, proper segmentation, backed up by research that gives an estimate of the market size, shows that there is enough of a market opportunity to turn your idea into a viable business. Mention how well your startup has done so far in its operations. Be sure to cover aspects such as customer acquisition (what is your current customer base, and at what rate it’s growing? ), monetization (current revenues and growth rate) and your product/client portfolios. This gives a good idea to the investors of the extent to which your idea has been market tested and provides greater validity to your pitch. Providing key financial data, such as profit and loss and cash flow statements, showcases how sustainable your business is at the moment. Backing this up with projections shows how you think your business is going to grow in the future. This is important because it gives the investors a good idea of the level of commitment they have to put into your startup to make it grow to or beyond a certain stage. Remember to be careful and realistic when it comes to projections—most investors can tell when your figures are cooked up. Don’t jeopardize your credibility! What kind of funding are you seeking from the investors? For what purpose do you want to use these funds for, and how will those activities contribute to the growth strategy you have set for the startup? If you already have some investors onboard, mention who they are and why they have chosen to invest. Remember, you aren’t asking the investors to invest in just your idea, but your team as well. You need to showcase not only your team’s competencies and credentials, but how they complement each other and the key roles they are playing to help your startup grow. Investors put a strong emphasis on the long term sustainability of your team, as it’s often the make or break element that holds your startup together or makes it fall apart over time. Understanding the essence of these elements will open the door to crafting a great startup pitch. Of course, you need to keep in mind that only you know how to create your killer startup pitch- because every startup’s story is unique. Knowing how these basics work lets you fine tune the details while keeping the core of your pitch intact and strong.